Pongal is a unique Tamil cuisine. Pongal is unique to Tamil cuisine, pongal in Tamil means "boil over" or "spill over". There are two varieties of pongal, namely, sakarai pongal (sweet pongal) and ven pongal (spicy pongal). Spicy pongal, and is a common breakfast food in several parts of India. Pongal festival is celebrated as the harvest festival and is spread over four days. This dish is served with vada, sambar and coconut chutney and coffee. Dry roast the moong dhal till slight golden color appears. Allow to cool. Pour 3-4cups of water in cooker and add rice, dhal and salt and cook for 3 whistles. When the steam escapes remove the lid and add ginger, curry leaves and milk (can be replaced with water) and cook for 3-5 minutes till semi solid consistency. 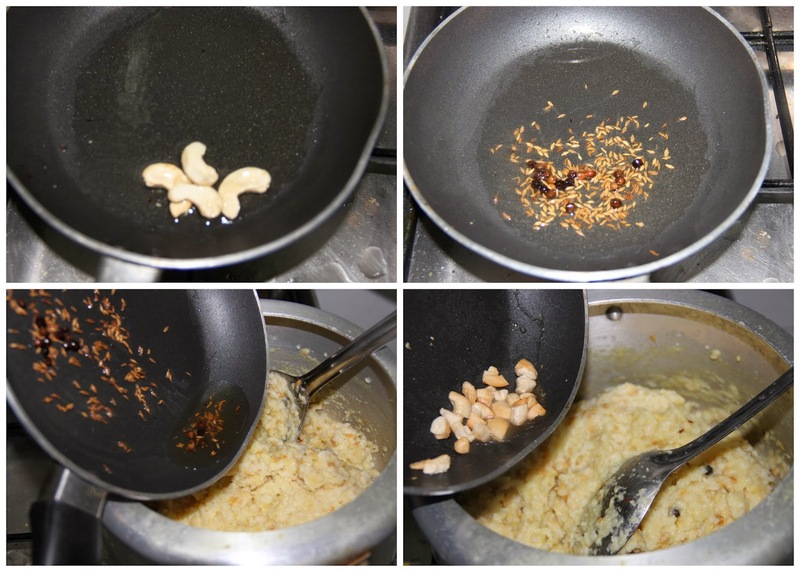 Fry cashew, pepper, cumin seeds in ghee, pour over pongal. Mix well, cook for a second and put off the gas. Note: Milk gives the pongal a rich taste. 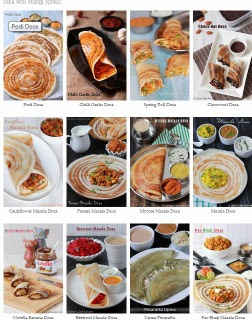 So we require less ghee in this pongal. 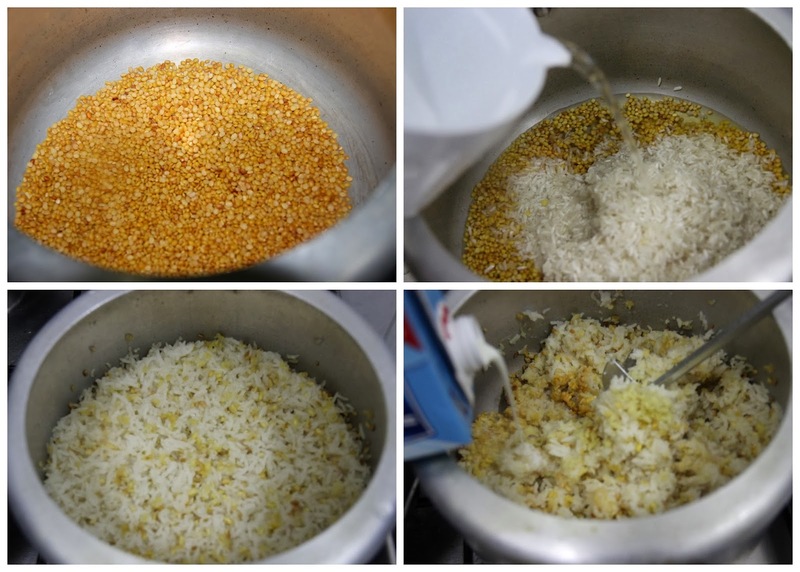 People those who like to add ghee more in this pongal can replace milk with water and add a teaspoon or more ghee. Check my Medu Vada and Brinjal Gotsu Recipe to pair with Ven Pongal. What a delicious breakfast dish. delicious, very inviting dish. 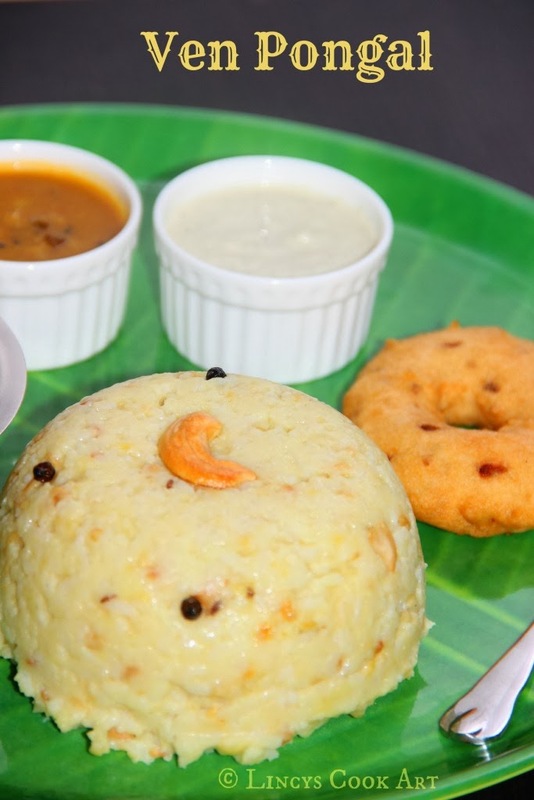 Love to have hot pongal any time and with vada. Just lovely. Very inviting clicks. Looks good such a perfect for a super filling breakfast! !I love to finish off with kaapi! I love Ven pongal.Looks so tempting dear.Am nominating you for the "Liebster award".. Please follow the link to grab your award.